Sugarloaf Mountain, Pão de Açúcar, originally uploaded by Bednarski Media. Rio de Janeiro view from the top of Sugarloaf Mountain (Pão de Açúcar). 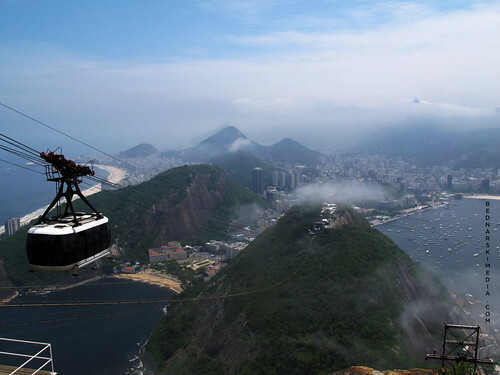 Christ the Redeemer (Cristo Redentor) can be seen in the background (top, right). Copacabana to the left.